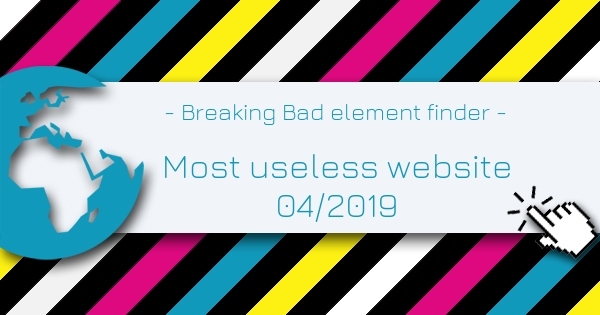 Breaking Bad element finder is the Most Useless Website of the week 04 in 2019. Find all the elements from the periodic table in your name and see them displayed Breaking Bad style. List of the most useless websites in 2019.